Do you love reading and eating as much as we do? If so, we have a treat for you! We've asked our favorite Parisian author/chef, Didier Quémener, to cook up some dishes inspired by Velvet Morning Press' books. So how do you get a copy? Sign up to our newsletter at the green banner at the top of this page and it's yours! Happy reading and bon appetit! 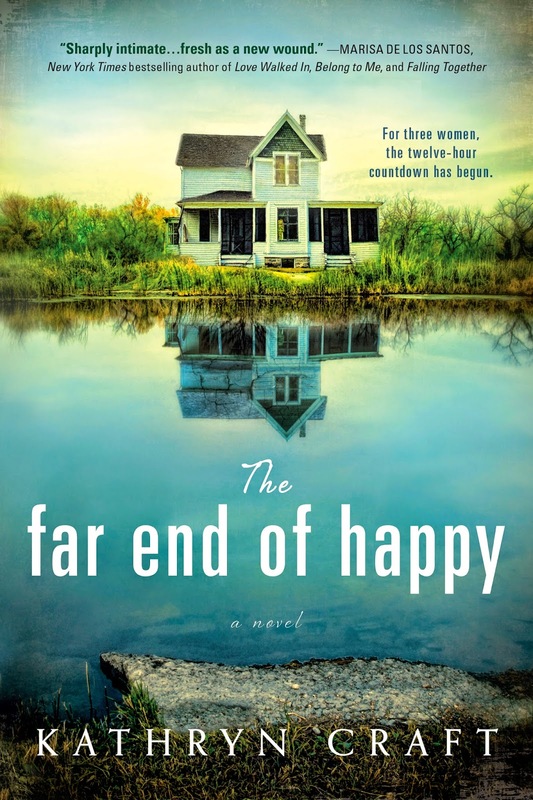 Today, we welcome Kathryn Craft, author of new release "The Far End of Happy." There is something very exceptional about this novel: It's based on a true event. Read on to find out more about this fascinating book and the challenges of incorporating real life into fiction! When I was a little girl, dreaming of marrying and having a family, I never once thought about that marriage ending—let alone in a suicide standoff. Back in 1997, shortly after this came to pass, I saw that the way my family emerged from our ordeal would make a good story. By the time I was ready to write —and Sourcebooks was eager to publish—I felt certain of two things: 1) I wanted to tell the story through more than one point of view, since I was well aware that I wasn’t the only one to suffer from the day’s events, and 2) I wanted to show the way the standoff had seared into my life by constraining the book to its twelve hours. That story would be even better. These decisions pushed me out of memoir into the realm of fiction, where I met several distinct challenges. 1. Developing a character based on me. This can be tricky! Renaming yourself feels so random, for one thing. What occupation would she have? Should she have two sons, aged eight and ten, as I did? The process was dizzying as I reconsidered every decision I had made in my life. And what kind of goal could this me-like protagonist have for this one day that could drive action throughout the book? I don’t know about you, but I’m often the last person to truly understand my own motivations. They can be extraordinarily complex. I did a lot of journaling to simplify backstory motivations, identify deep needs and closely held beliefs, and conjure a story goal that would make my character pop. We authors are charged with digging until we uncover all of our character’s hidden vulnerabilities—but these were my vulnerabilities. And I had to find the courage to put them on the page. 2. Deciding what to fictionalize and why. My first task was to decide which real life characters helped drive the conflict on the day of the standoff. The desperate man and the massive police presence were a given. My parents were also with me that day, but while shock made me hyper aware of every unfolding detail, it shut my parents down. At such a trying time I was happy for the comfort of their faces, but they might have been framed on the wall for all the story action they drove. So out went my parents and in came fictional mothers for my protagonist and her desperate husband—and to complicate things further, I made them lifelong friends who had bonded over their own dysfunction. This created the potential for fireworks as shameful secrets boil over, and each tries to protect what’s important to her as the standoff drags on. If I identified events important to my protagonist’s arc that appeared elsewhere within the chain of true events, I compressed the timeline so more could happen on that one day. I hung my partially invented story on the bones of true events. Much of the standoff and the police action is exactly as it unfolded that day. Yet because I also fiddled with simplifying backstory motivation as described above, small cracks would sometimes develop between the imagined and the real. When it came time for a character to deliver what I may have remembered as a particularly potent line of dialogue, for example, what made perfect sense in my memory-stoked mind may have left my readers scratching their heads. I had to deal with such issues in revisions, relying heavily upon editorial feedback. Note that my list did not include the difficulty of resurrecting painful experiences. I believe that accessing our greatest joy and deepest pain and every shade of emotion in between is the novelist’s perpetual challenge. We are always tapping the vein of our emotional truth and our readers want nothing less. The most important thing I had to remember is that in fiction, the veracity of the story trumps what “actually happened” every time. Only then can an author fictionalizing true events write her very best novel. SURVIVAL OF THE GINNEST is now available... Pass the gin! Today is launch day! 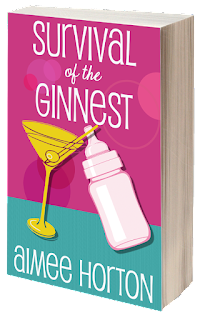 We are pleased to announce the release of SURVIVAL OF THE GINNEST by Aimee Horton, a humorous "Mom Lit"/Chick Lit book. Meet Dottie Harris. Dottie spent her late 20s working her way up the career ladder, but things are about to change. In this modern-day diary, Dottie, after announcing her pregnancy, turns to social networking to build a new social life. 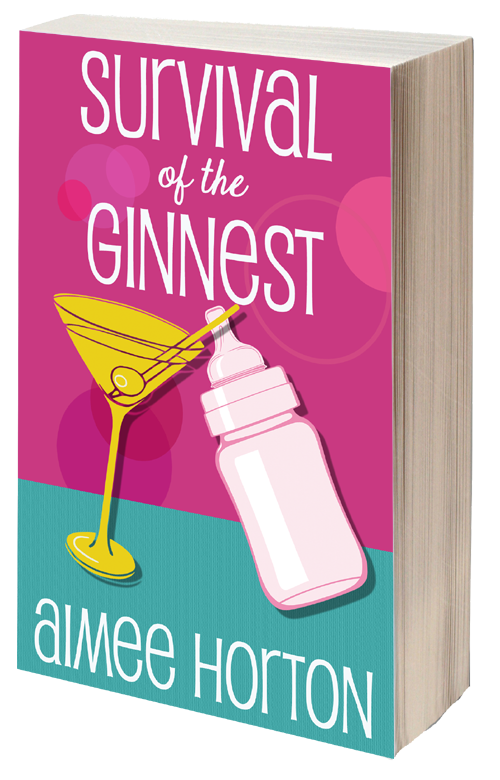 She quickly begins to rely on it—along with gin—as a way to reach out and remind herself of the funny side of the frustrations of motherhood. Check out SURVIVAL OF THE GINNEST, available in paperback and ebook, on Amazon! 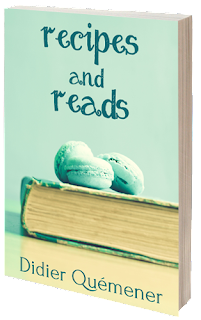 Aimee is offering a special gift to those who sign up to her author newsletter... A free copy of LUSH IN TRANSLATION, featuring our favorite spunky character, Dottie. Visit her website to sign up! You released a book, and the crowds are going wild. They all want your autograph and are beating down your door to get it. Or… you launched a book, and a few people mentioned they would love to buy a signed copy. Either way, sounds like you need to do a book signing! As authors, many of us prefer to hide behind our computer screens rather than face the crowds. Maybe we’re shy, or maybe we’re afraid the book signing will be a flop and we’ll look sad and lonely at a table stacked high with unsold, unsigned books. 1. Secure a location. I recommend a local bookstore (one that carries your book, obviously) or a bar. Call them up and ask if you can bring paying customers on a slow night, like a Tuesday. I’m pretty sure they’ll say yes. If you select a small venue, then it will look crowded even if only a few people show up. 2. Pick a time. You probably don’t want to be there more than about two hours. If you’re just signing books, that’s plenty of time. 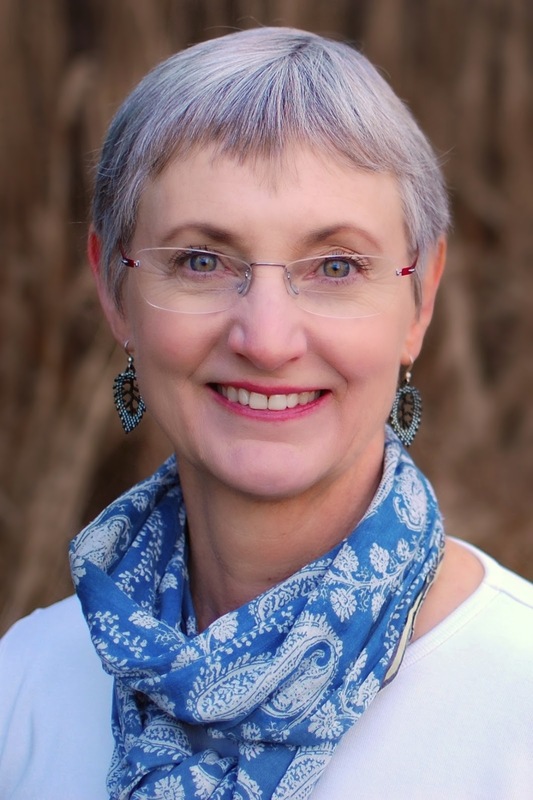 If you’ll be doing a reading from the book or some other sort of activity (Q&A, etc. ), you can go longer. 3. Promote it. Mention the event on your blog/website and social media. Tell friends and family. You can design a simple flyer to post online, and if you have the budget you can print it and leave a stack at the venue (with permission) about a week in advance. 4. Team up. Know any other authors in your area? Team up so you have twice the promotion reach. And you’ll have at least one person to talk to, even if no one shows up. If you’re in a multi-author book, like an anthology, see if any of the others live near you and can do a joint-signing. 6. Prepare your elevator speech. People will inevitably ask what your book is about. Be prepared to give a 30-second description of your book—one that will cover the basics and not bore them to death. For my book I would say, “It’s a memoir about my first few years in Paris, where I started out partying—a lot—but eventually settled down and met the man of my dreams.” Caught unprepared, I might be more likely to say something stupid like, “It’s about Paris and partying.” Duh, they know that from the title! 7. Keep costs down. Unless you’re a huge star (just wait, it will happen soon! ), you probably won’t get more than a handful of people showing up. Some of them will have already bought the book. So it’s quite possible you’ll make one sale. Or maybe you’ll make 30! Who knows? But to ensure the event is profitable, limit your costs. No need to spring for food or drinks—if you’re at a bar, schedule your signing during happy hour, and people can get a great deal on their own. Make a simple sign with your book’s cover and title, and text saying “BOOK SIGNING,” and slide it into a reusable stand. No need to waste money on a custom-printed big sign that you won’t ever be able to use again. If you have an 8.5 x 11-sized sign and your books laid out on the table, people will get what’s going on. 8. Bring your business cards. People may be reluctant to buy on the spot or may not have cash on hand. No problem! Hand them your business card, and they can check out your website/blog and buy the book later. 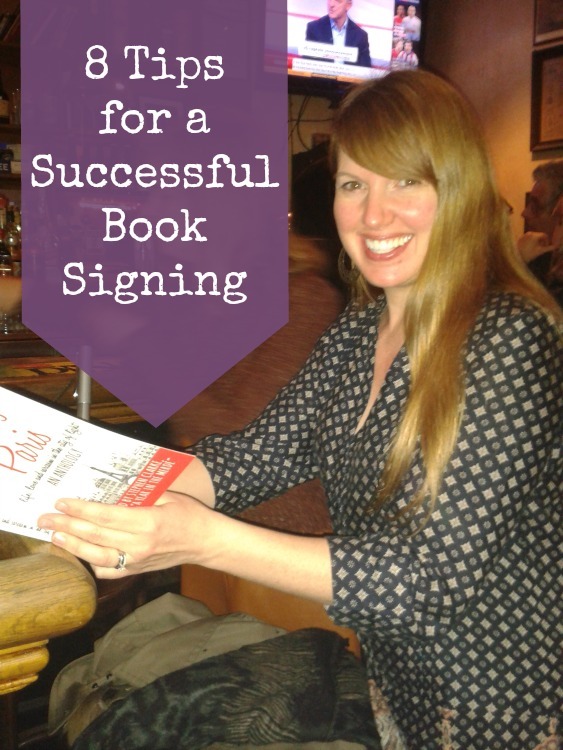 You probably won’t sell 1,000 books at your first signing, but you can still have a great time interacting with fans and meeting other people. Good luck, and don’t forget your pen! This article was originally published on LeslieFloyd.com.